Participation in Joint Saudi/UK initiatives to develop cooperation and expertise exchange in key sectors. We are also working closely with DIT and SAGIA on SBJBC input to the newly established Private Sector Groups. Monthly newsletters with business updates and news of forthcoming events. 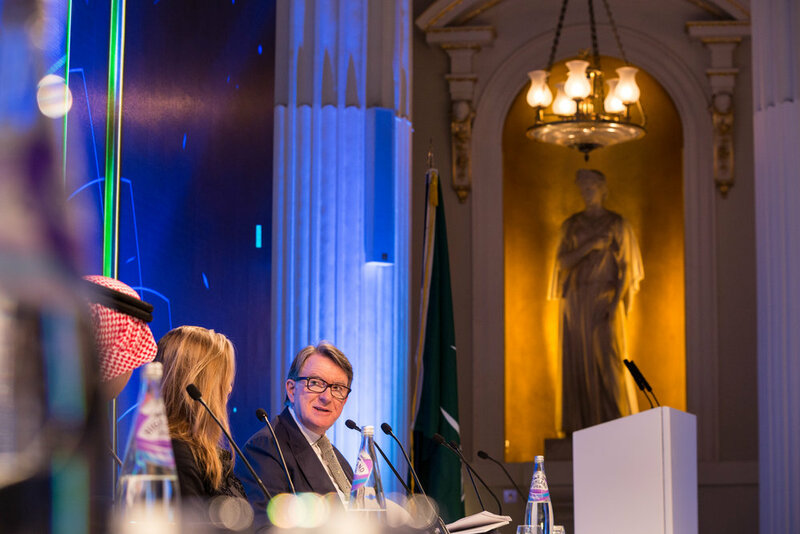 Regular sector-based events in the UK and Saudi Arabia. Recent events have included a PPP Workshop, an SME Tech-Forum and a Doing Business in Saudi Arabia Workshop. Introductions to trusted service providers and sources of professional support in either market. Communicating business concerns and potential barriers to trade to government authorities in both countries. Through our relationship with the Council of Saudi Chambers, we can make introductions to Saudi Chambers of Commerce in main regional centres. We also work closely with the Saudi Arabian General Investment Authority (SAGIA) who can assist new investors, and with Department for International Trade teams in Riyadh, Jeddah and Al Khobar. We have a partnership with Arabian Enterprise Incubators (AEI Saudi) for the delivery of a range of business support services for SBJBC members and UK companies doing or seeking to do business in Saudi Arabia. These include practical support to setting up locally and Saudi visa sponsorship leading to a hosted market visit.